Learn to build this quaint LEGO Antique Stall MOC with interior details designed by Small Brick City with these digital building instructions. 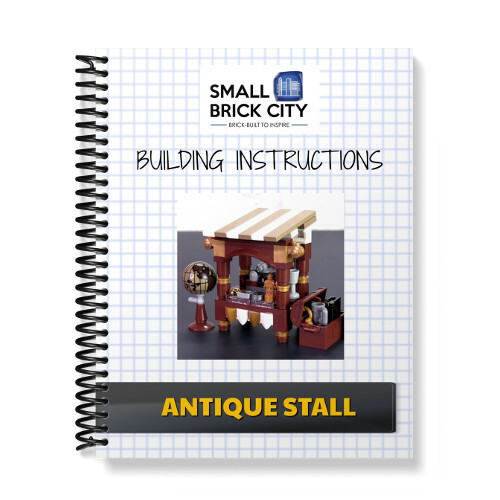 Learn to build this quaint LEGO Antique Stall MOC designed by Small Brick City with these digital building instructions. This MOC is part of our LEGO small build series that are MiniFig-scale and highly detailed. Every flea market needs an antique stall and this build features an ornate look with table skirting trim, carved wood supports and legs as well as a white and dark roof awning. There is a collection of different antiques that you would expect to find in an antique stall such as jewelry, an old compass, goblet and an old gramophone. This product is also available as part of the “Colourful Carnival & Market Stalls” pack. Check out the quality of our building instructions with a free sample of a MOC build HERE. 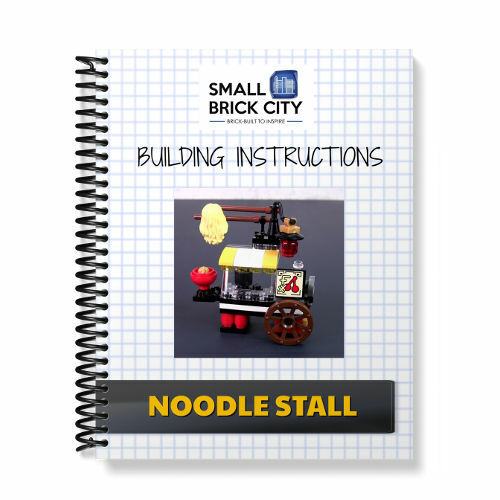 These building instructions are instant downloads (PDFs) ONLY. 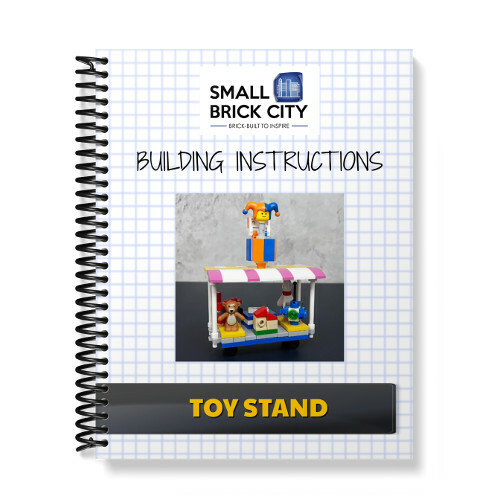 The building instructions include clear pictorial instructions as well as parts list in XML format which allows you to upload the parts list directly onto BrickLink to make purchasing parts easier and more convenient. No LEGO parts are included in this product. The Order Receipt/ download link will be emailed to you immediately after your payment is made and order is processed. Please ensure you check your SPAM folder for our email. © Small Brick City. All Rights Reserved.